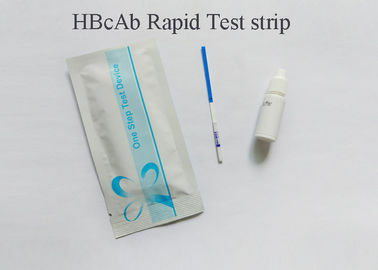 The HBcAb Rapid Test Cassette (Serum/Plasma) is a rapid chromatographic immunoassay for the qualitative detection of Hepatitis B Core Antibody (HBcAb) in serum or plasma. Viral hepatitis is a systemic disease primarily involving the liver. Most cases of acute viral hepatitis are caused by Hepatitis A virus (HAV), Hepatitis B virus (HBV) or Hepatitis C virus (HCV). Hepatitis B e antibody is a viral protein secreted by HBV-infected cells. The presence of antibody against hepatitis B viral e antigen is used as an indicator for early HBs antigenemia before the peak of viral replication and early convalescence when HBeAg has declined below detectable levels. It is also useful to confirm a seroconversion. The seroconversion from HBeAg positive to anti-Hbe positive indicates a reduced level of infectious virus because virus replication has decreased. The HBeAbRapid Test Cassette (Serum/Plasma) is a rapid test to qualitatively detect the presence of HBeAb in serum or plasma specimen. The test utilizes a combination of monoclonal and polyclonal antibodies to selectively detect elevated levels of HBeAb in serum or plasma. This one step test is very sensitive and only takes about 10-20minutes. Test results are read visuallywithout any instrument. 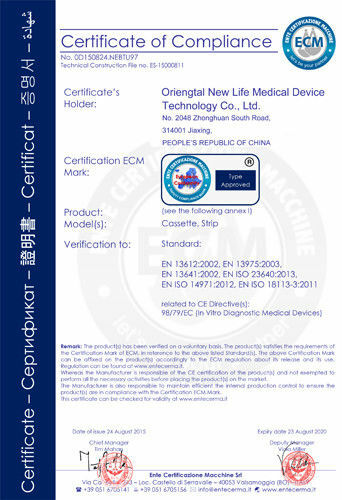 The HBcAb test is immunoassay based on the principle of competitive binding. During testing, the mixture migrates upward on the membrane chromatographically by capillary action. 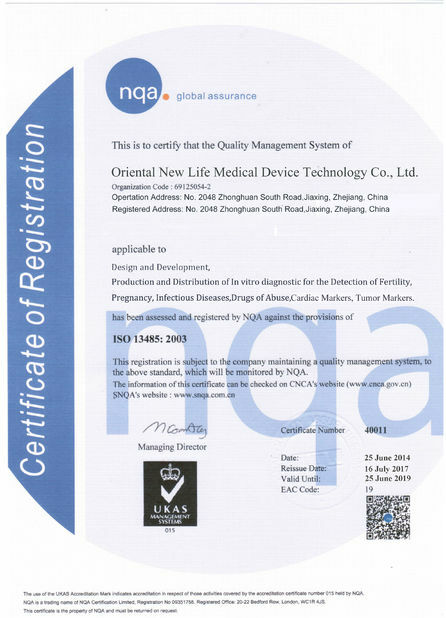 The membrane is pre-coated with anti-HBcAg on the test line region of the strip. During testing, if HBcAb present in the specimen, will compete with particle coated HBcAg antibody for limited amount of anti-HBcAg on the membrane. No line will form in the test region. And a visible colored line will form in the test region if there is no HBcAb in the specimen because all the antibody coated particles will be captured by the antigen coated in the test line region. To serve as a procedural control, a colored line will always appear in the control line region indicating that proper volume of specimen has been added and membrane wicking has occurred. 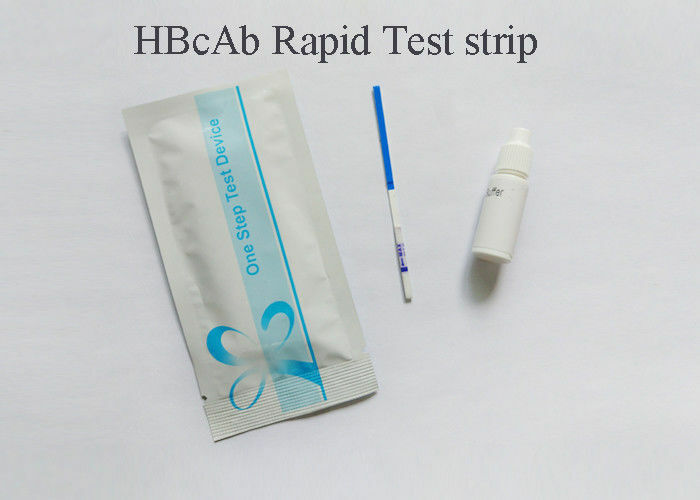 The HBcAb Rapid Test Cassette (Serum/Plasma) was compared with a leading commercial ELISA HBcAb test, the result show that the HBcAb Rapid Test Cassette (Serum/Plasma) has a high sensitivity and specificity.